Amazon rolled out a dozen new Alexa-controlled Echo products in September 2018 that included an updated smart display, microwave, and even a subwoofer. However, one of the most surprising new products was the simplest in operation and function: a wall clock. The idea was to add a visual interface in the form of an analog clock face with LED indicators at every minute mark that would complement the voice-only interface of smart speakers. Echo Wall Clock wasn’t the most obvious new product but did align well with tracking your timers which is one of the top five most common smart speaker use cases. The $29.99 device began selling on Amazon.com in mid-December with shipments arriving shortly before Christmas. It was popular enough among Alexa enthusiasts to rack up over 450 reviews and a modest 3.3 average rating. However, the Wall Street Journal’s Joanna Stern discovered that it is not currently shipping due to concerns that arose around unreliable wireless connectivity. We’re aware that a small number of customers have had issues with connectivity. We’re working hard to address this and plan to make Echo Wall Clock available again in the coming weeks. 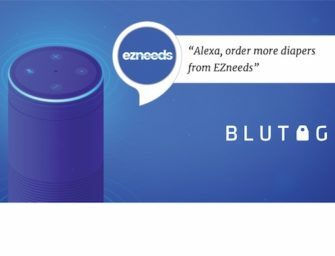 Given that Amazon launched so many new Alexa products at once in September, it was inevitable that at least one would face issues. And, it appears not all customers are having issues. The product has 36% 5-star ratings on Amazon.com. The irony here is that the Echo Wall Clock is the simplest device that was debuted and users are experiencing the age-old issue of wireless connectivity. This won’t have any impact on overall Alexa adoption but does show that even when you get the hard stuff like voice interaction right, other issues can derail your product success.